At Es Paradis, Fri 19 Jul. The legendary Clockwork Orange! Clockwork Orange is back on the island to continue its legacy that spans over a quarter of a century. The legendary party returns to its spiritual home Es Paradis, where you can relive their golden years with a night full of classics. Expect a full-blown celebration, including a water party. The legendary club night started in London in 1993 and went on to rock Es Paradis between 1994 and 1999. After a triumphant return in 2014 with a one-off weekend celebration, the orange army is back once per summer for an extended weekend in multiple locations. On the line-up, Jeremy Healy will be playing a two-hour set. 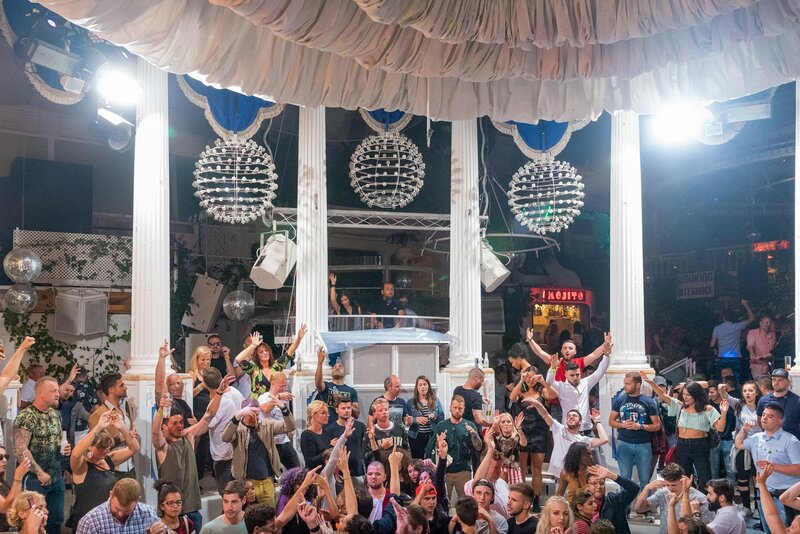 Clockwork will be taking over the pyramid-shaped Es Paradis, one of the prettiest super-clubs on the island, on Friday 19 July ​2019. See below for full details, line-ups updated daily and tickets. Want more Clockwork Orange? The weekend starts at Benimussa Park with Clockstock Ibiza during the day on 19 July and continues with Clockwork Orange presents Shhh at Amnesia on 21 July.